This week was a stitch busy week. Without making a proper plan to work on embroidery samplers, somehow the project seems to have started. Last week’s stitch was colonial knot, which was never worked before. This knot was tried with the help of instructions on Queenie’s blog. Yet to have an idea of how to use this knot. This week’s stitch is Bayeux stitch. 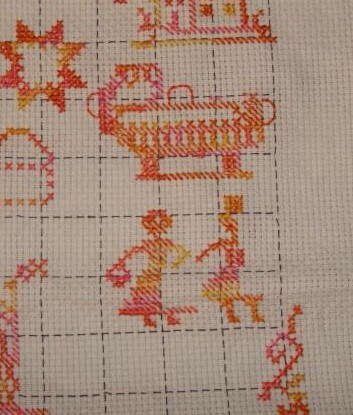 I have read a little about Bayeux tapestry, but have not thought about the embroidery stitches on it. 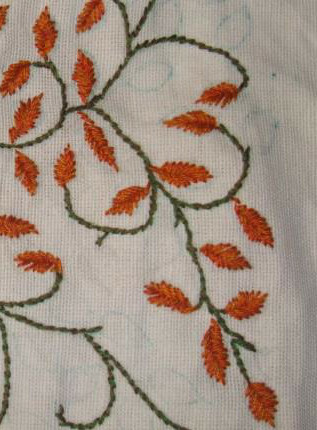 An idea to use this stitch on Indian folk design is in mind. I am still working on Sashiko project and Kogin sampler on this challenge. Swedish weaving sampler is yet to be started. These embroidery samplers have been a dream for me. Instead of consciously starting this mega project, these attempts to learn and work new embroidery styles may help in seeing the realism of this idea. Randjes are being posted on the blog. A few of them are inspiration for kutch embroidery too. This is the progress on this challenge this week. The black work motif of this month was completed. it will be posted soon on the blog. This tunic project started with two shades of grey cotton skeins used for stitching- Cretan, buttonhole and leaf stitches on this motif, this week. 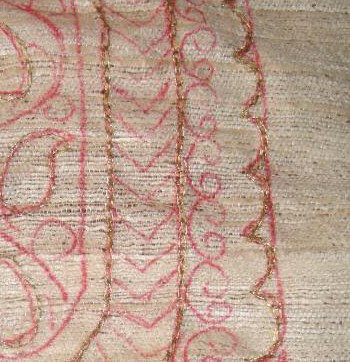 Closed cretan stitches are used to work the half circles on neck of this red /black tunic. I do seem have fingers on too many embroidery work, but this is quite interesting. Whenever it gets boring, I can either shift to the next one, or write about the various ideas on my journal or set them aside and do something else. This was a good week. We had harvest festival of our state- Pongal. The MMM SAL is nearing the end. The photo taken few days ago. Last week was more progressive on this SAL. Nothing to report this week. The work of Sashiko patterns on yellow table cloth has moved to fourth panel. 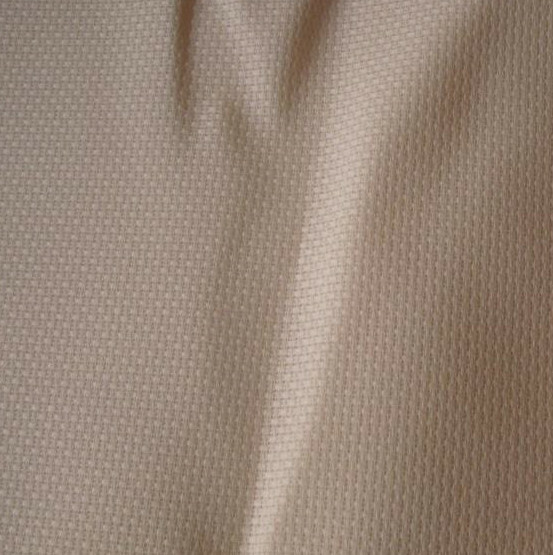 A few kogin patterns were drawn on graph paper, and the Kogin sampler was started on a towel cloth. Last week’s stitch was completed on time. And waiting for some idea to sprout on this week’s stitch. Some ideas for floral samplers are popping now and then. The mirrors are blue ikat tunic is also nearing completion. Just a few more mirrors to work. 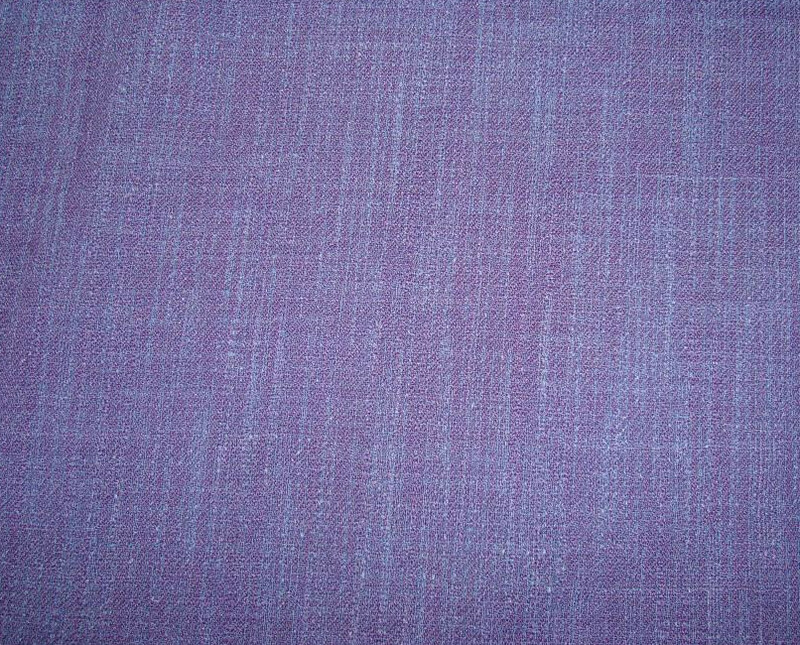 I had two fabrics- a blue ikat and a maroon handloom cotton. 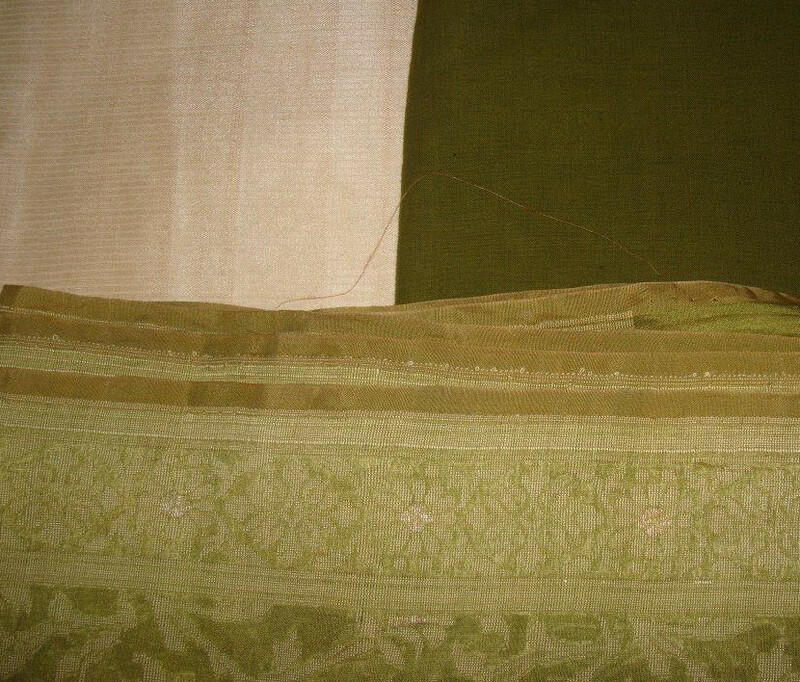 Before the tailor went on his vacation, a tunic was sewn with these two fabrics. A small design from ‘Paisleys designs from India’ was taken, scaled and drawn. This will be traced on to the plain maroon fabric in the front of the tunic. The threads and the tunic. These days I have started writing down ideas, inspirations. This is quite helpful. It is like an idea journal. It also keeps me on track. It seems I have few works in progress this week. Every day I work for half an hour on this month’s mandala. After working back stitch on the outline, design was started with the help of chart posted on the site. I didn’t realise the blurred quality of the picture. Though this a weekly SAL, I haven’t started the cross stitch. But, using the border pattern, a small book mark with Hindu lord’s name in my language is in designing stage. Then, I will move on to designing these borders inspired kutchwork pattern. Whether they will be worked, is another story. Using the idea of working Sashiko patterns, the embroidery on yellow table cloth was started. The work in progress on the third panel. I am looking through Kogin and Swedish weaving techniques for this challenge. The band sampler on this week’s stitch on SSS challenge was started yesterday. I have added a few more mirrors on Blue grey ikat tunic. It gives a necessary change of work. 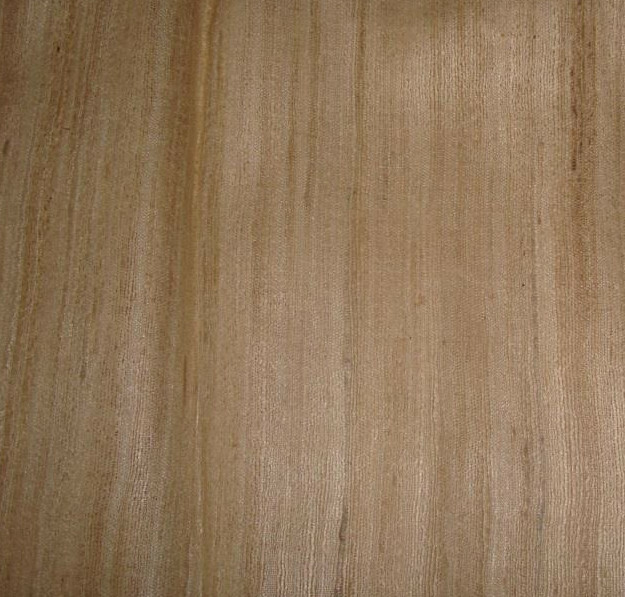 Some time is allotted for each work every day. Not much time on stitching, but widening the knowledge through other’s work is very interesting. Time passes very swiftly. On this week’s chart on RPW 2016, the motifs in the centre are completed and there are three more motifs and a corner design. The chart is available here. Made a mistake in calculation on the corner motif, had to remove the stitches and start over again. I like this corner motif. The sampler we are working on RPW2016 seems to have completed the alphabets and numerals and started with motifs. The chart is available here. These past weeks it is hard to work on this piece. The fabric is too big, each and every stitch needs to be checked, and only time the work proceeds faster is after making a mistake! Next time, any cross stitch project is going to be a personal challenge and it has to be small. And this ‘next time’ should be several months later. Phew!